EAMCET is always a golden threshold for future engineers to step into the temples of engineering. 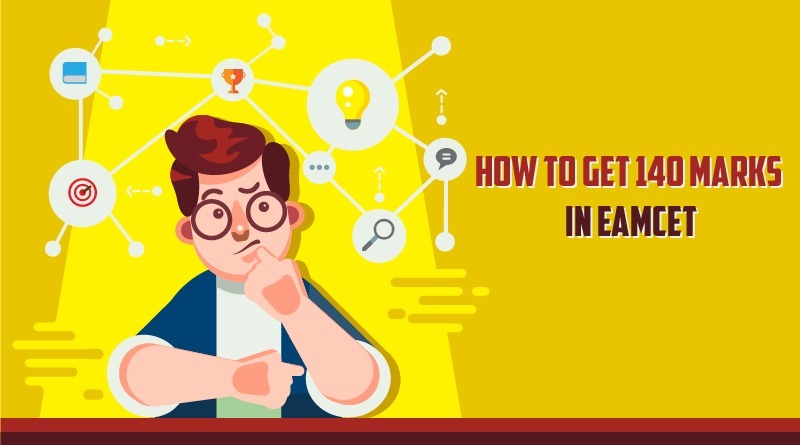 While EAMCET is complex in character and commands a highly stringent regime, it is not impossible to excel with some special and smart tips. These tips in no way are restricted to the subject matter but deal more with attitude, approach, presence of mind and confidence levels. The magical 140 is something we all dream. But the journey to get 140 marks in EAMCET needs to be well-planned and well-organized. Always plan in advance and be prepared to tackle challenging situations Keep your approach intelligent and situational rather than routine and ritual. For example, do not think that the easiest should be cracked first. Nor have a feeling that the tough should be attempted first. It all depends on the situation and your ability to crack the ones that you have confidence in and can spend less time on. Always spend first-hour answering questions that may take less than a few seconds. This need not be easy ones, but when you know the key, it is considered easy, right? Spend the second-hour answering questions that may take a long time not because they are just tough, but may be time-consuming Where the answers demand more skill, aptitude, and memory, pick them up for the last 45 minutes but, keep them less in number Always answer those unanswered in the conclusive moments, as it does not attract any negative marks Pick the subject that you are most confident in as first. This enhances your confidence levels and makes you more comfortable during the course of exam. Don’t look at the faces around as their anxiety and frustration may bring doubts in you that is highly undesirable. As preparatory part, always spend lot of time on mock papers and tougher ones Talk to those who cracked it well and also those who attempted it more times This may help you understand what can go wrong Always begin mock papers in January so that you can spend more time NCERT books will be of great help Try and attempt JEE mock and old papers that can increase your standards. Sri Chaitanya, the best EAMCET entrance training institute With an enviable track record and portfolio of accomplishments, Sri Chaitanya continues to be best EAMCET entrance training institute in Hyderabad. The secret saga of success lies in Sri Chaitanya’s ability to bring the best out of the students through proven and empathic methodology, driving key preparation tips to score the magical 140 marks in EAMCET. Sri Chaitanya brings the best out of you through effective preparation, constant mock appearance and above all nurturing your personality to take on the litmus test. can you please call me, I have doubts regarding EAMCET coaching, as my brother is now Inter 1st year in SR college Nizamabad branch. he wants to take coaching after his exam i.e., IPE 1st year…can you please help me in the duration of the course and fee structure.